We just received a new shipment of Red Currant Candles at The Clay Pot. We sell this candle 20 to 1 over any other candle we have in our shop. If you’ve never tried one, you’ve got to stop by and pick one up. You’ll love it! 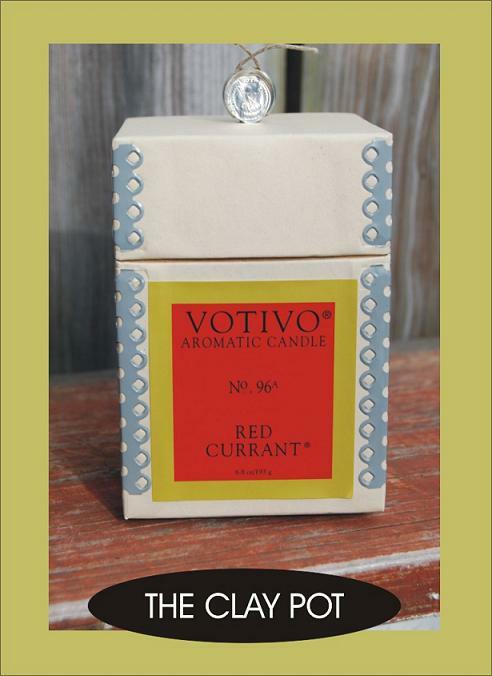 Votivo’s Red Currant Candles available at The Clay Pot.